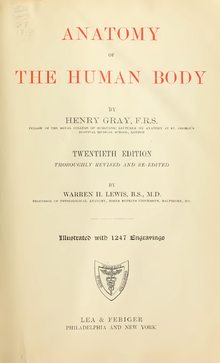 গ্রে এ্যানাটমির অনলাইন সংস্করণ — The complete 20th U.S. edition of Gray's Anatomy of the Human Body, published in 1918. NB: This is the most recent American version that is in the public domain. গ্রে এ্যানাটমি। ২০০৪। Episode 5 of the BBC TV series The Beauty of Anatomy.